Mumbai: There is always the pressure to live up to the viewers' expectations but Varun Dhawan says it also gives him the confidence to constantly swim against the tide in his film choices. The actor, who will next be seen in period drama "Kalank", says he feels this pressure with the release of his films and he is keeping his fingers crossed for the latest one, which hits the theatres next week. "It is difficult (to live up to the expectations) when you do something. And if it works, you have to keep defending that and live up to that name. 'Kalank' is a test... I feel responsible for this film. If it works, it will give me the confidence that I am on the right track," Varun told PTI in an interview. The actor debuted with "The Student of the Year" in 2012 and has established himself as a versatile talent with back-to-back hits in both commercial and middle-of-the-road projects. "I have always tried to swim against the tide like after 'October', I did 'Judwaa 2'. I always try to do something that gives me thrill artistically. If I am not enjoying the character that I am playing, then it will reflect on the screen. "Luckily, in my case, the stuff that I am enjoying as an actor, even the audience has loved it. I have always tried to put myself in their shoes. I was an audience before I became an actor. I am a fan of cinema," says Varun. 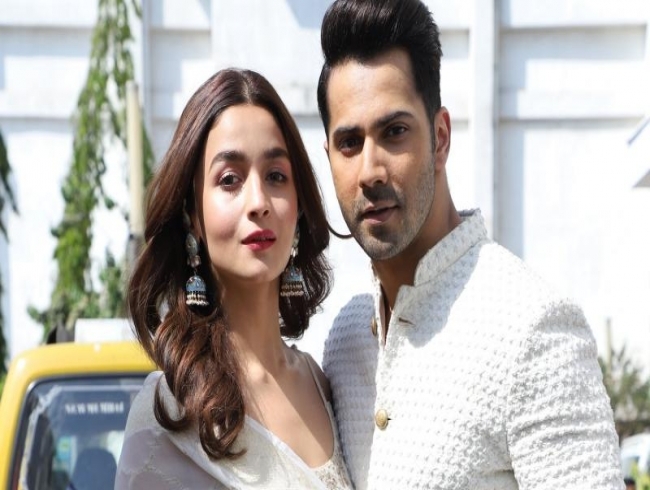 It is the first major multi-starrer film of Varun's career and and features A-listers such as Madhuri Dixit, Alia Bhatt, Sanjay Dutt, Sonakshi Sinha and Aditya Roy Kapur. "It is more interesting to do multi-starrers. I believe actors should be cast for their acting capabilities and not for their stardom. All actors in the film suit the characters they are playing," he says.